Blood lead testing is provided on both capillary and venous-drawn whole blood samples for the identification of childhood lead poisoning and occupational lead exposure. In addition to testing, the staff can answer questions regarding collection kits, collection procedures, result interpretation, and other issues related to lead poisoning, detection, and prevention. Capillary specimens are collected on children. A sample volume of 100 µL is requested. 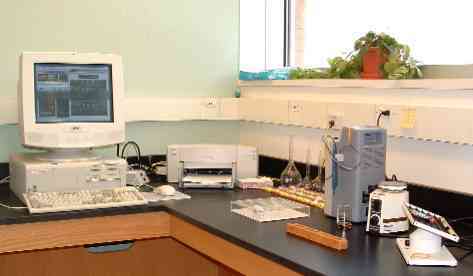 Caution must be taken throughout the collection procedure to prevent environmental contamination of the specimens. Comprehensive and abbreviated procedures for capillary specimen collection are available from the lab. A kit (Kit #6) providing most of the supplies needed to collect 100 specimens is provided free of charge. Elevated blood lead results on capillary specimens should be confirmed using a venous specimen. A venous specimen is the preferred specimen type due to the smaller risk of environmental contamination. Specimens should be collected in EDTA tubes following standard venous blood collection procedures. Heparin is also an acceptable anticoagulant. The lab does not typically provide supplies for collecting venous specimens. Whole blood is diluted with a matrix modifier solution of ammonium phosphate/Triton X-100/nitric acid and analyzed by graphite furnace atomic absorption spectrometry. For information regarding appropriate medical and environmental follow-up for children with elevated blood lead levels, contact the Wisconsin Division of Public Health Childhood Lead Poisoning Prevention Program at 608-266-5817. For information regarding adult lead exposure, the Adult Blood Lead Epidemiology and Surveillance Program (ABLES), the Occupational Safety and Health Agency onsite occupational health/industrial hygiene consultation for small and medium sized businesses, and lead training and certification, contact Wisconsin Department of Health Services – Occupational Health Program at 608-266-1295.